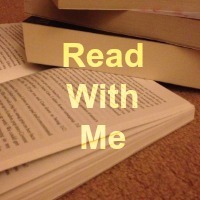 You know how much we love to read our books! But do you know that we also like to do activities based on the stories and books we love too? If you follow our social media you will see that as BookBairn has got older I have started doing more and more art, craft and play activities with her. It's fascinating to watch her skills develop and to really observe how much language she is using and developing through these activities. So I thought I would start a new little series of blog posts to share with you some of the ideas for activities that we do based on books. If you follow our social media you will see these straight away, as we do them, but I'll aim to include more information and photos here as well as a summary of the book. So let's look beyond the book! If you follow our blog you will know that we loved 'So Many Feet' by Nichole Mara and Alexander Vidal and it's one of a select few books that BookBairn has memorised (you can see her reading it and our review in our 'What Can Your Feet Do?' blog post). When I saw what @play.pack did on Instagram recently I knew I just had to try it with this book. It was quite simply really. We used Playdoh and our Duplo animals to create footprints. BookBairn and I collected a whole bundle of the Duplo creatures that we have and she pressed their little feet into the dough. It was fascinating to sit back and watch her play and create lots of moments for language learning and discussion. First I noticed that she liked using the penguin on the white dough: "it's like the ice"; and that the ducks were only allowed to make prints on the blue dough because it was like the water in the duck pond. Then we compared the footprints of the big polar bear and the baby polar bear and used lots of language for comparison. She was also interested in the fact that our two rabbits didn't leave the same imprint. Then I got the book out and we worked our way through the animals that we have like goats, ducks, tortoises, tigers, polar bears but unfortunately Duplo don't make a blue footed booby. Ever the problem-solver BookBairn quickly got the blue dragon toy that we have because he "has blue feet like the booby". This made me laugh out loud. I can highly recommend this activity - it was fun, relatively mess-free and created lots of discussion and comparison. I think I might try it again with paint! But only on a day we can deal with the mess. 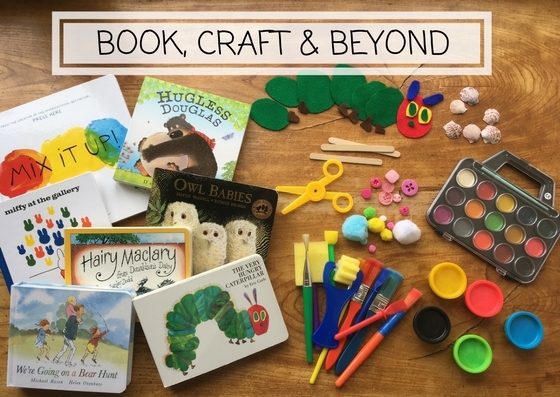 Hope you enjoyed this little idea for an activity that goes 'Book Craft & Beyond'! I was there that day and BookBairn loved doing this. Great fun. And she keeps asking to do it again! I've had to buy more playdoh! The idea of a blue dragon 'booby' is so cute! I love using picture books to stimulate arts and crafts activities. We did a similar playdough activity using Little Deer Lost. I thought this was very creative problem solving too! I'll look up Little Deer Lost as I've not heard of it! Me too - it made me smile! Thanks Claire! We love Play Doh too but it's only allowed in the kitchen where we have wipe-clean floors! Dinosaurs! Genius! I've never made my own play doh - life is too busy at the moment but I shall have to get your recipes!